Dorothea Hayley, soprano, and Manuel Laufer, piano, will appear in Brandon on Tuesday. After a succession of superb concerts, the 2017–18 pro series closes the books on another memorable season with one final presentation. 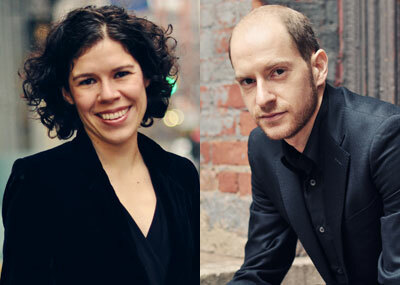 This Tuesday, March 27, faculty member and clarinetist Catherine Wood welcomes two musical friends — soprano Dorothea “Dory” Hayley of Vancouver and New York-based pianist Manuel Laufer — who will present an evening dedicated to the natural world, with a concert entitled “The Endless Earth”. Including the Schubert piece, their programme is inspired by two of the locations in which they have previously collaborated, namely the Banff Centre and the Blueridge Chamber Music Festival, in the Lower Mainland. Consequently, nature, solitude and contemplation are central themes to their programming choices, which also include Dominick Argento’s ‘To Be Sung Upon the Water,’ Giacomo Meyerbeer’s ‘Hirtenlied,’ and works by Venezuelan composer, Diogenes Rivas. The final pro series concert of the season, featuring soprano Dorothea Hayley, clarinetist Catherine Wood and pianist Manuel Laufer, will take place at 7:30 p.m., on Tuesday, March 27, in the Lorne Watson Recital Hall. Tickets for this event are $15 for adults and $10 for students, seniors and alumni, and are available at the door or in advance in the Main Office in the School of Music. The pro series will return with a new lineup, next fall. Please note that seating in the Lorne Watson Recital Hall is limited and that programmes are subject to change. For up-to-date listing of pro series and student performances, as well as other BU events, visit Events.BrandonU.ca.